Hi I just started this game and it's fun but boring to play alone. So if anyone wants to be my boyfriend great, btw I'm a girl IRL so no misunderstandings. Last edited by GenerousSpin-solace-; 01-19-2019, 09:27 PM. ♥♥♥♥ I was about to say oh yeah . then again reading the last part really throw me off the boat and probably going to swim back to the shore and hide myself . 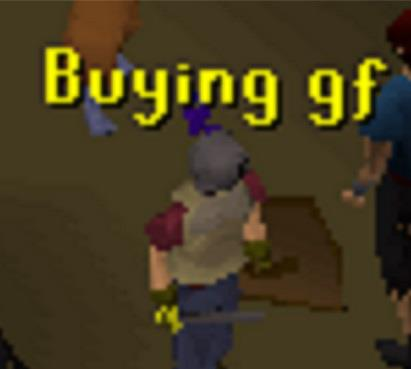 Good luck with that looking for a girl friend to play as well. Last edited by GenerousSpin-solace-; 01-19-2019, 09:51 PM. This probably isn't what you want to hear, but I feel it's best to just seriously respond to this. A forum like this is probably not your best bet for dating nor for talking about your life's problems, though I'm sure you already know this. If you're looking for individuals who do actually care for you, I believe that with due time, friendships or the like could very well do the same, rather than just relationships. Perhaps just start by joining a guild in-game or finding a mentor, and see how things take off from there. Or honestly, you may have more luck finding what you're looking for in a more casual social game or platform. Starting off with an intent to date, especially when you seem a bit emotionally vulnerable right now, doesn't seem like the best course of action. I apologize if I come off as patronizing. I just can't figure out how else to put it. Last edited by Quacks-solace-; 01-19-2019, 11:06 PM. Reason: Grammar. Of course he is trolling. "She" was a boy earlier and now a girl. LOL, LOL okay it's no problem at all. Anyways, join some guild and see where you can go from there. Sorry, I was drunk out of my mind last night. But yeah, I actually am a girl, but no I'm not looking for a relationship on this game. Moved to off topic because it's unrelated to the game.